A name that needs no explanation, more access points and an even easier connection: by becoming wifi.brussels, the free public wifi network of the Brussels-Capital Region, previously Urbizone, makes the benefits of the smart city an even greater reality for citizens and visitors to the Region alike. 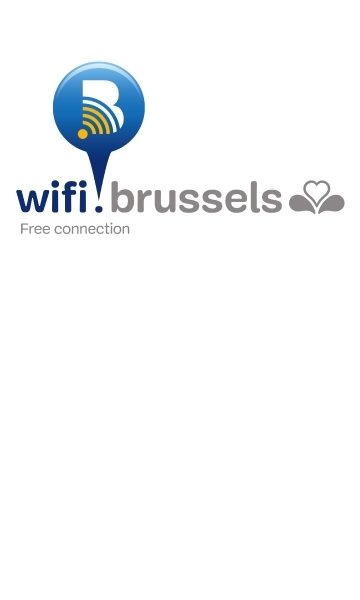 Having a free wifi connection in public spaces and buildings, spread around the Brussels-Capital Region: This is the service offered by the wifi.brussels network which has given up its old name of Urbizone to gather a new momentum. In the near future, the connection will become even easier since the network will recognise the user from one hotspot to another (no more need therefore to identify yourself each time). Wifi.brussels is free and will remain so! What is not changing, however, is that the wifi.brussels service is free of charge. This is because the network wants to facilitate access to the Internet for everyone. In this respect, it is a key project of Brussels Smart City. The objective is to make the daily life of the citizens of Brussels easier as they move around, to foster the digital inclusion of those segments of the population who have had little experience of the Internet or who have limited financial resources and, finally, to contribute to the attractiveness of Brussels as an international tourist destination. Connectivity occupies a central place in the smart city strategy of the Brussels-Capital Region. In addition to the development of the wifi.brussels public, the Region is pursuing an ambitious plan of connecting broad band to schools, and even very broad band for secondary schools. The Brussels Regional Informatics Centre (CIRB) and the regional telecom operator IRISnet are working together on these projects to ensure that the connected city goes hand in hand with the smart city. As far back as 2006, the CIRB created the first Urbizone hotspots, as an experimental pilot project, on the Plaine campus shared by both free Brussels universities, the ULB and the VUB. Management of the network is now provided by IRISnet while the CIRB retains an oversight role.